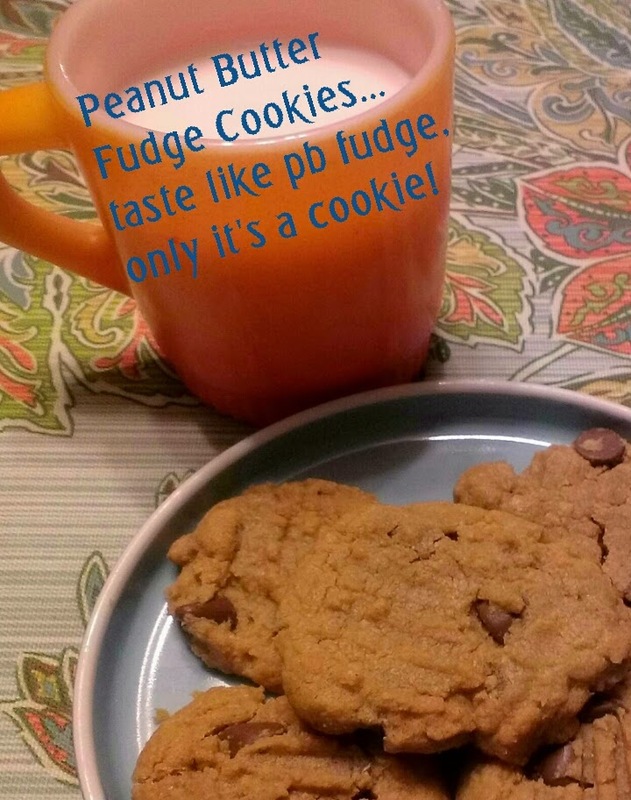 Sunshine for Your Heart-sharing the hope and love found in Jesus: Peanut Butter Fudge in a Cookie! 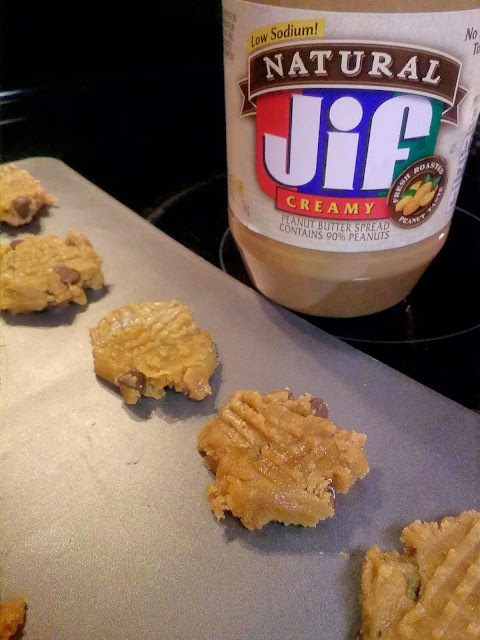 Peanut Butter Fudge in a Cookie! This weekend my guys were away at a Youth Conference. As I was preparing for their homecoming, I remembered something Chad said right before he left; "I am hungry for peanut butter cookies!" 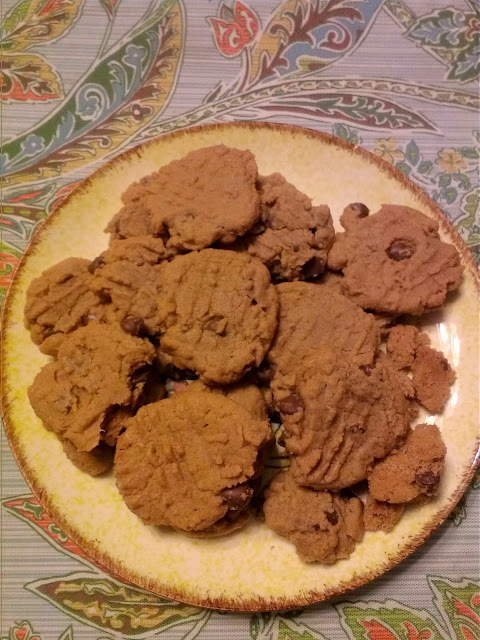 So, I began to search for my old peanut butter cookie recipe. This recipe is a flourless one and has always been yummy. However, with a couple of changes....well, it's just dangerous! Needless to say, I had a hard time only eating two and walking away. For today's "In the Kitchen", I wanted to share this simple yet yummy recipe that would serve for a great after-school snack. Preheat oven to 350 degrees. In medium bowl mix peanut butter and sugar until well blended. Next, add egg and vanilla and mix well. Finally, add milk chocolate chips and blend well. Drop by rounded teaspoons on non-stick baking pan. Then using fork, flatten cookies down. Bake about 12 minutes. After removing pan from oven, let cookies rest on hot pan for about 3 minutes before removing to wire racks. Cookie will be crumbly and fall apart if not left on pan for the 3 minutes. However, if your cookie crumbles, then simply put it on top of vanilla ice cream and enjoy!